How to create a Google Account without a Gmail address - Blogger I.Q. 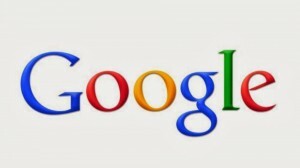 Google Products can be used without having to create a Google account. For E.g. 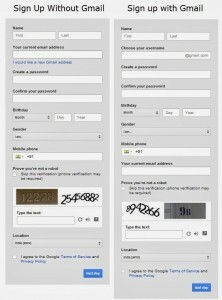 You can search on Google, watch videos on YouTube without signing in to a Google account. However, if you want to get in to the sharing arena and interact with people you will need a Google account. One key point to note here is that Google account can be created without having to create a Gmail address. 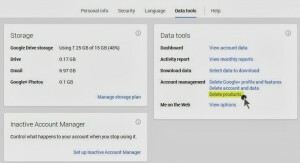 The Google account helps you do lot many things – search, share, chat, hangout, collaborate, create, connect, converse, schedule meetings, backup files, blog, etc. – all these without having to create a Gmail account. If you notice, the URL itself says “Sign Up Without Gmail”. 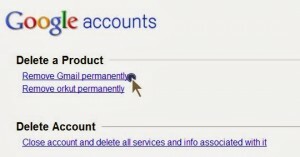 Sign in to your Google account at accounts.google.com > Click on Data Tools > Click on Delete Products > Click Remove Gmail Permanently. Be very cautious before you delete your Gmail account. Within a few weeks’ time the Gmail account will not be recoverable – how much ever Google helps you in recovery process – a maximum of only the username can be recovered.